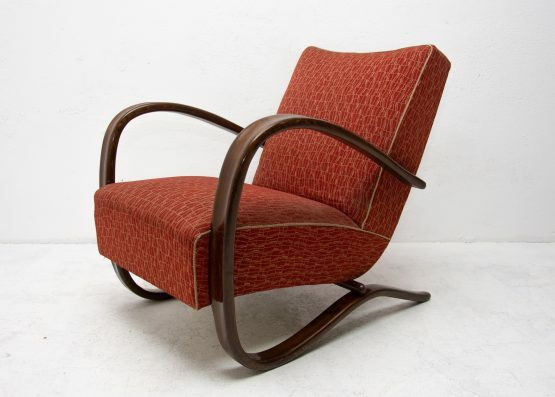 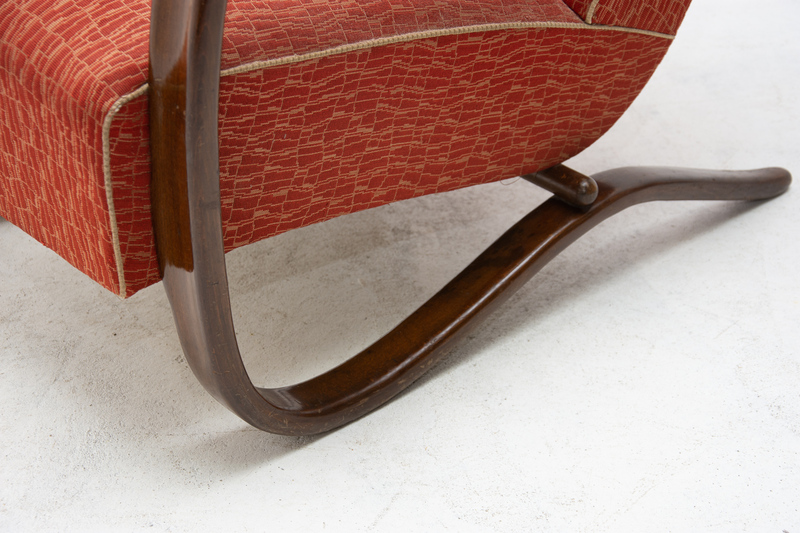 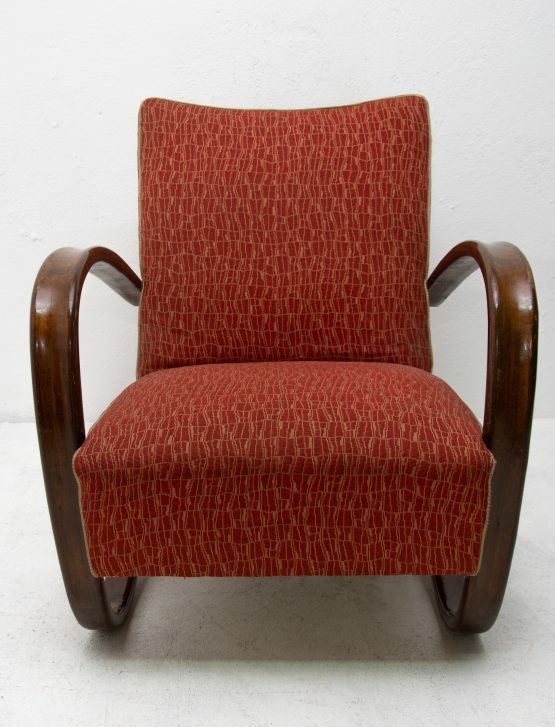 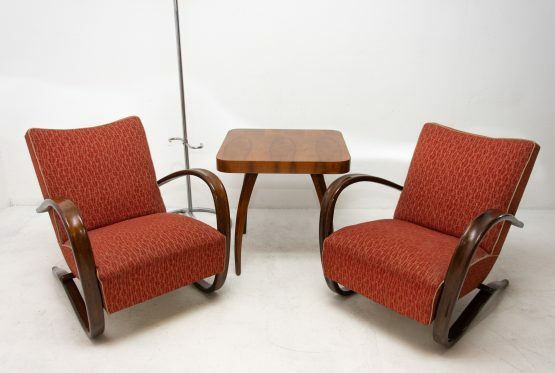 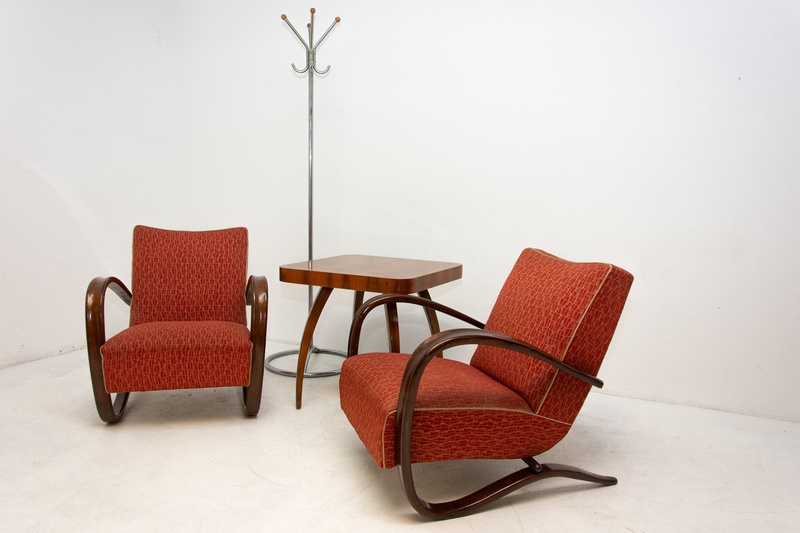 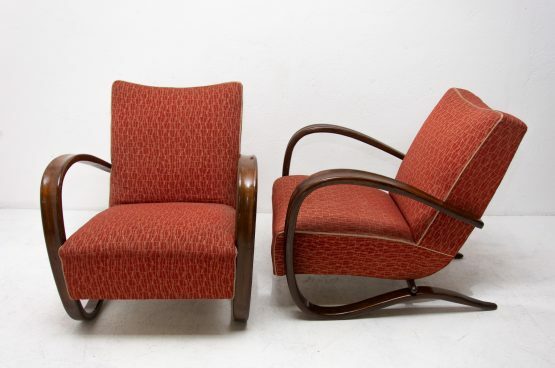 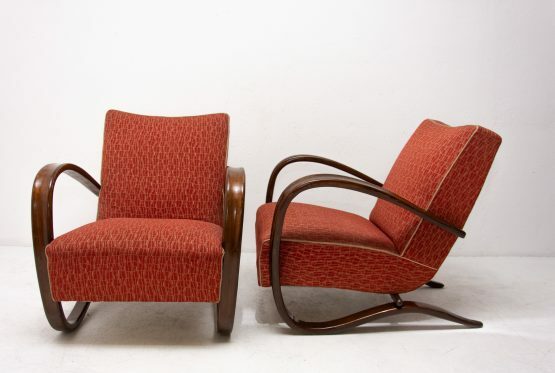 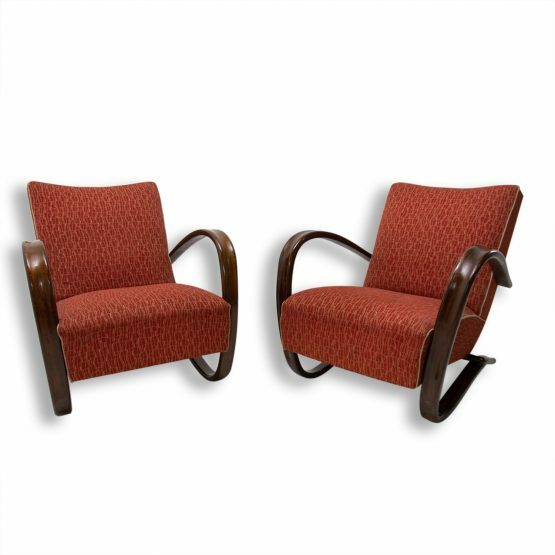 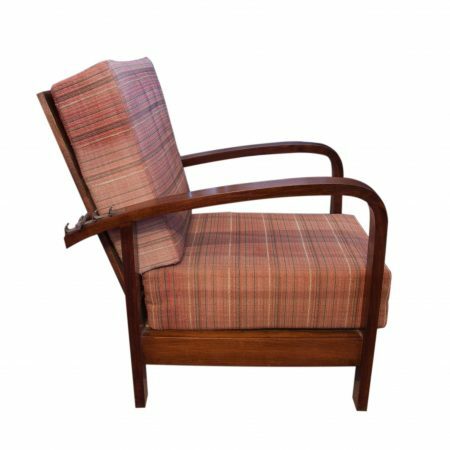 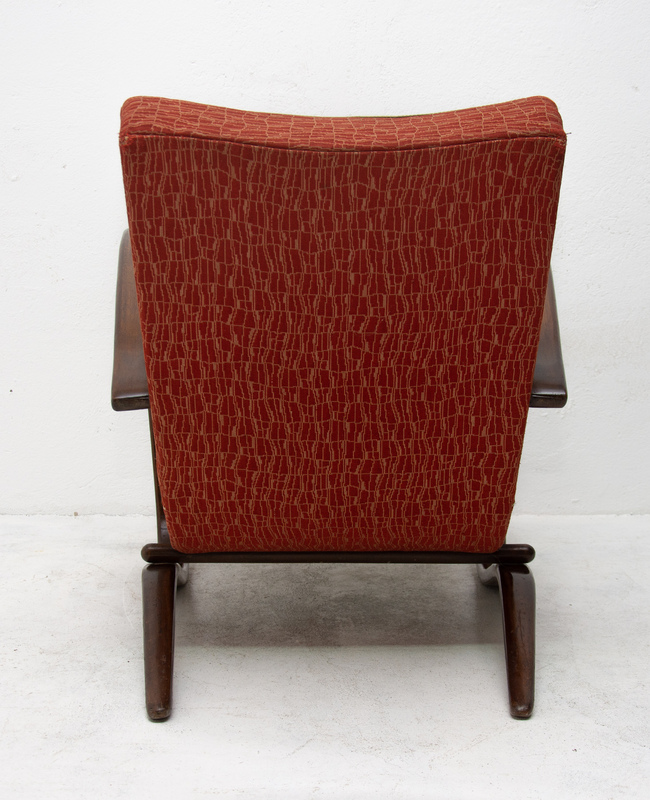 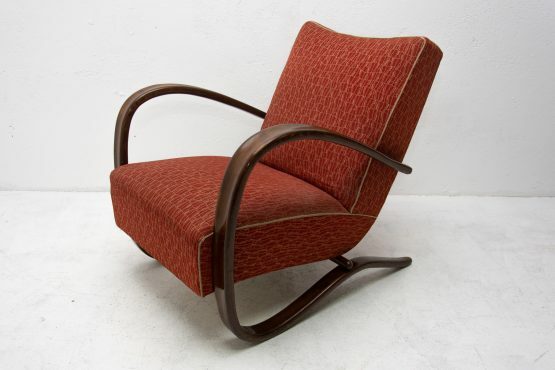 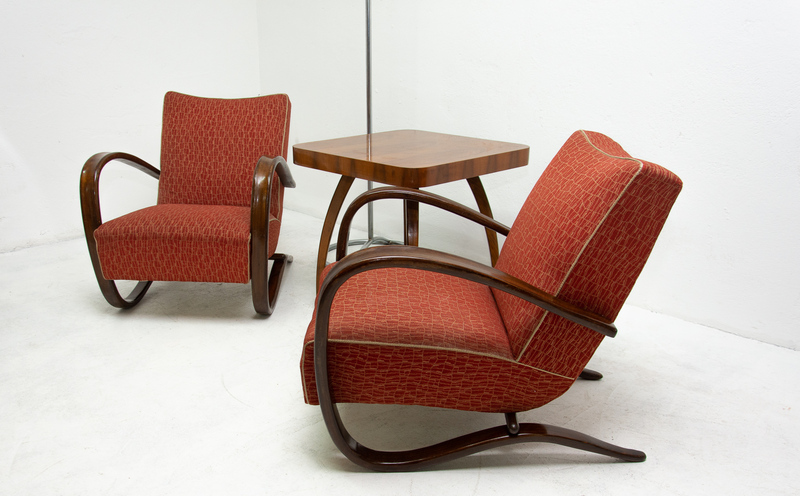 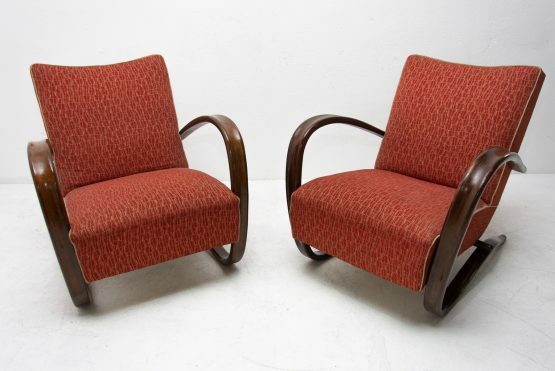 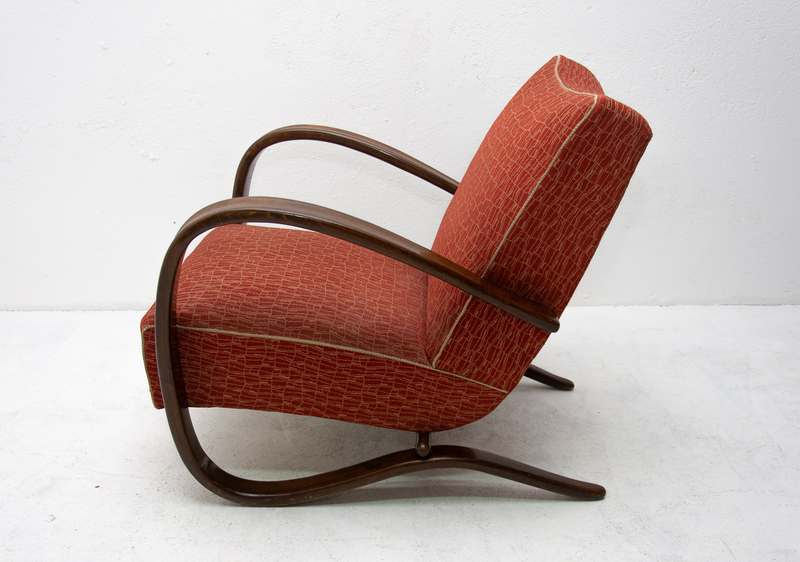 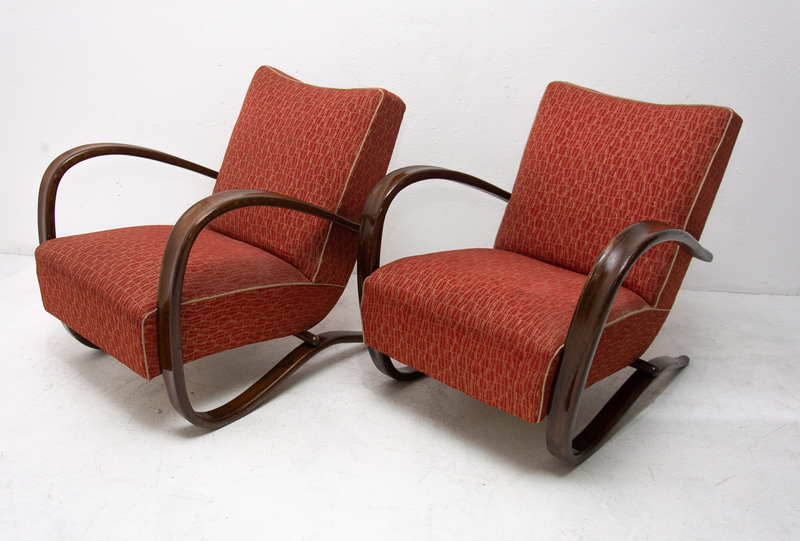 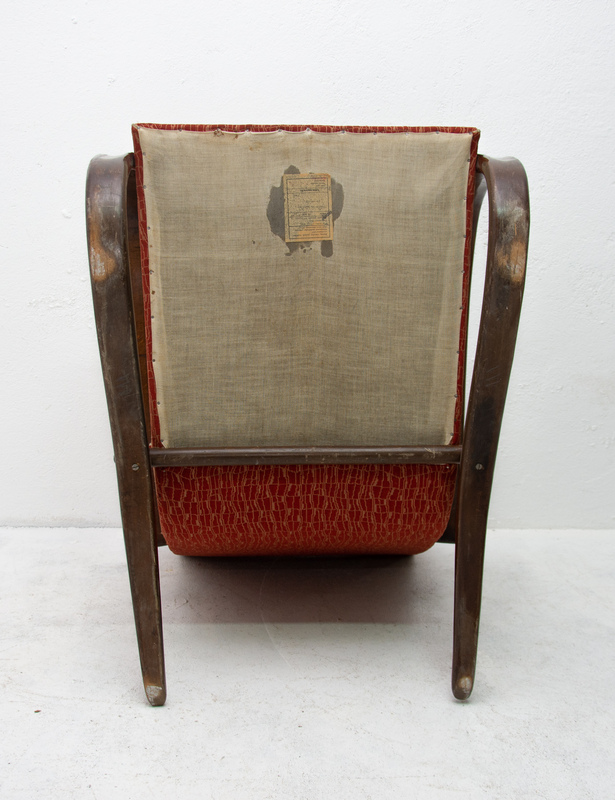 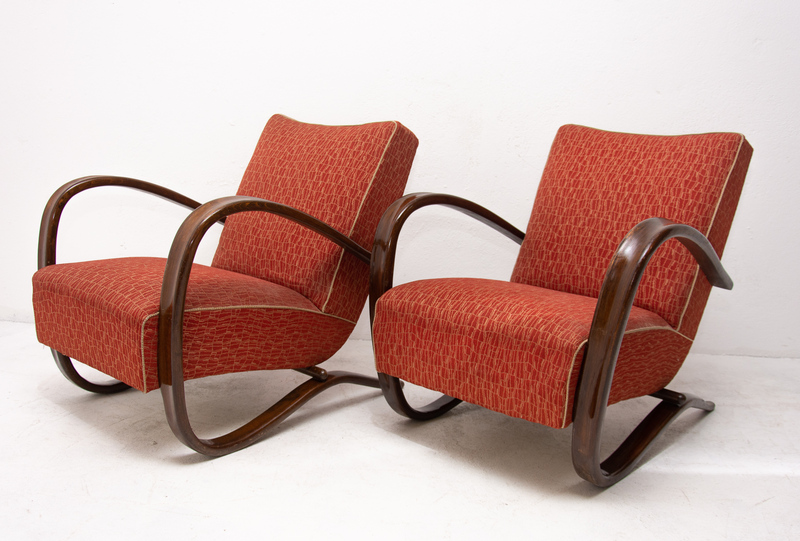 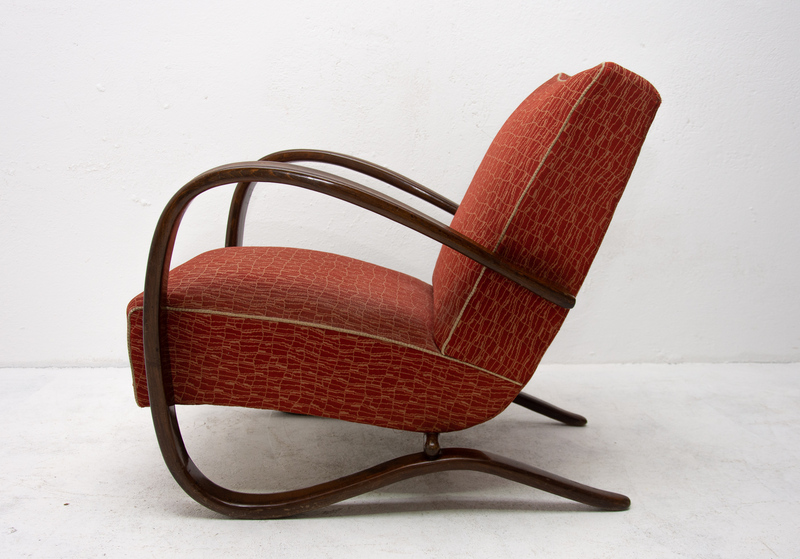 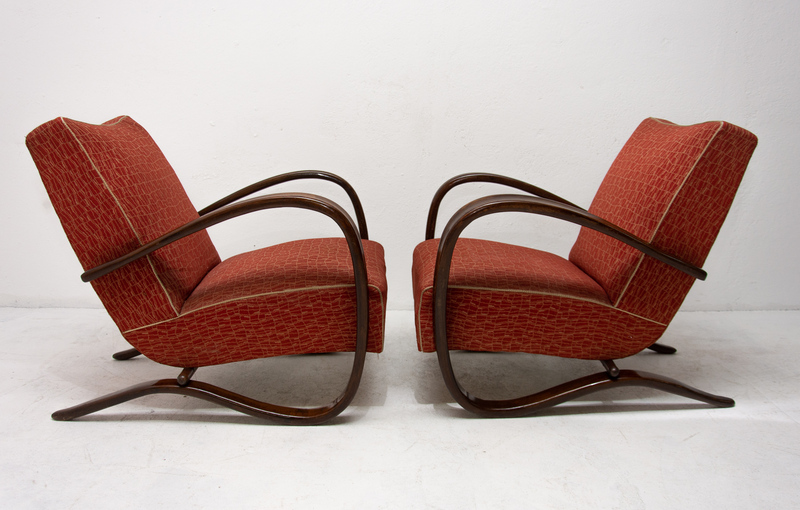 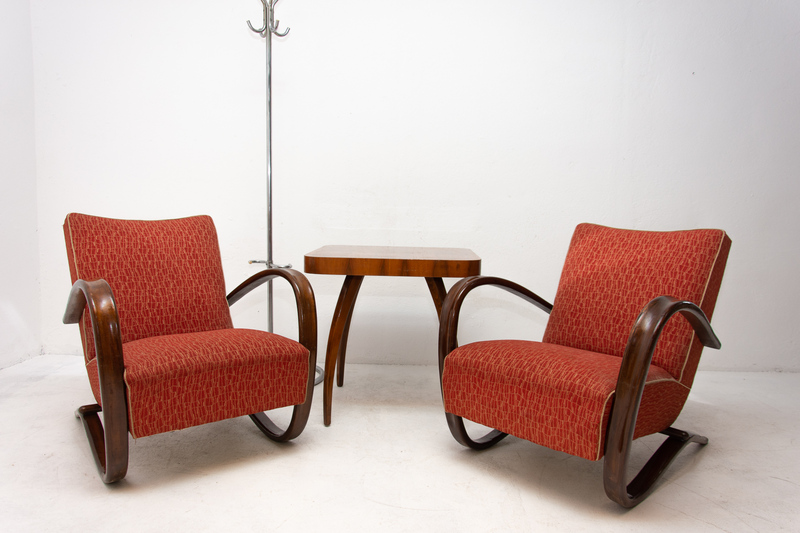 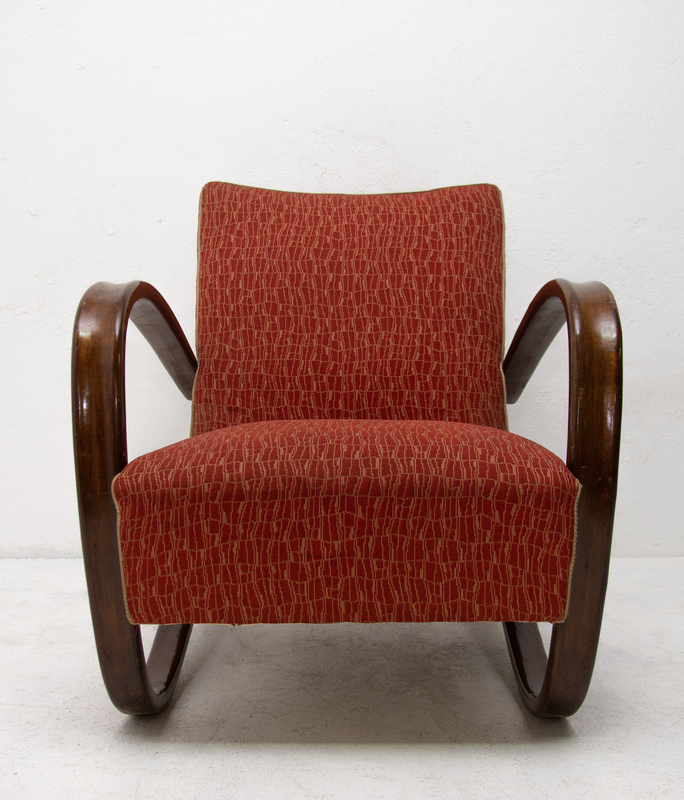 These Art Deco H-269 armchairs were designed by Jindrich Halabala in the 1930s and were made in the 1950s. 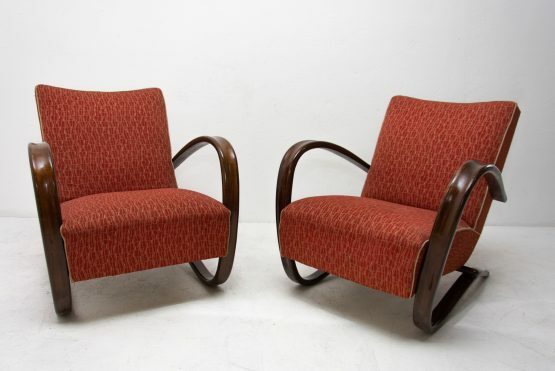 They are made from ebonized bent wood. 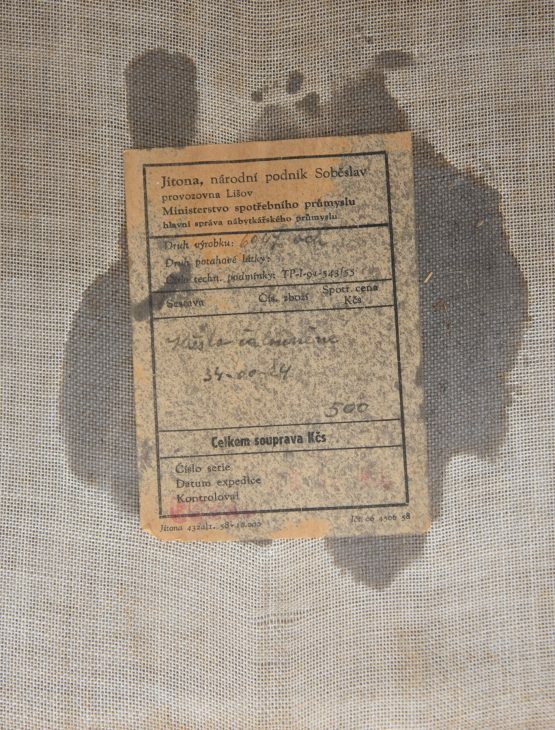 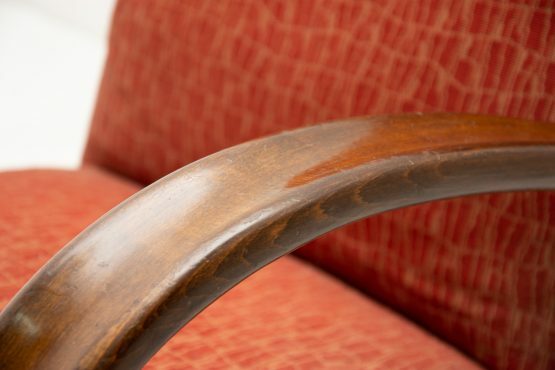 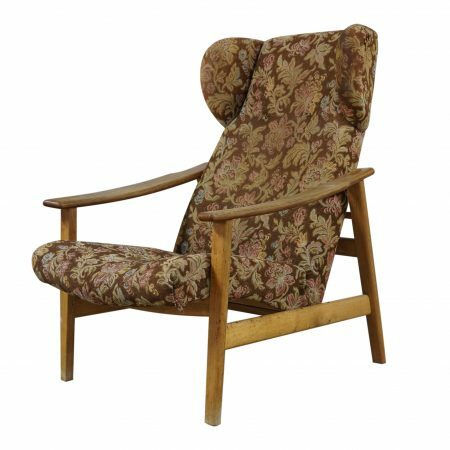 They are in very good original condition with some signs of age and use or minor abrasions on the armrests. 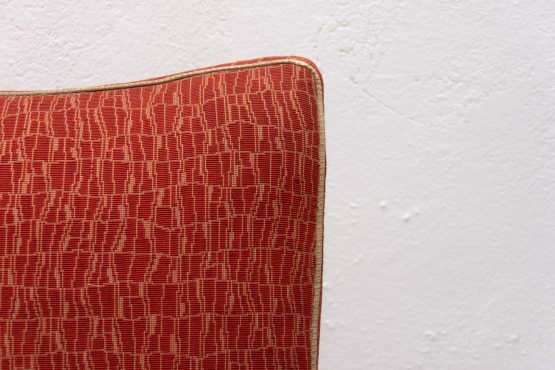 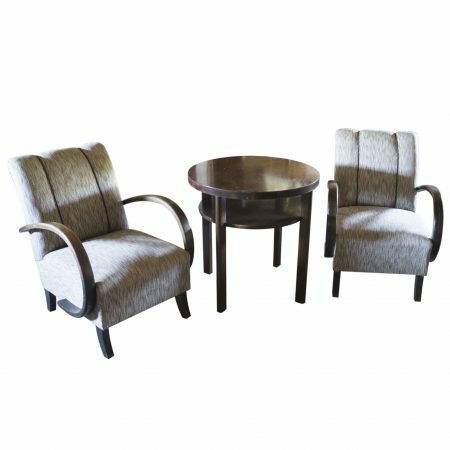 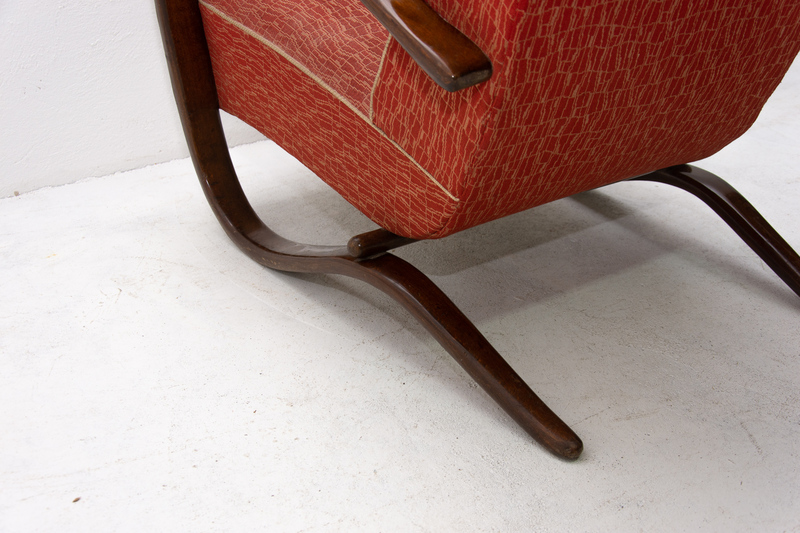 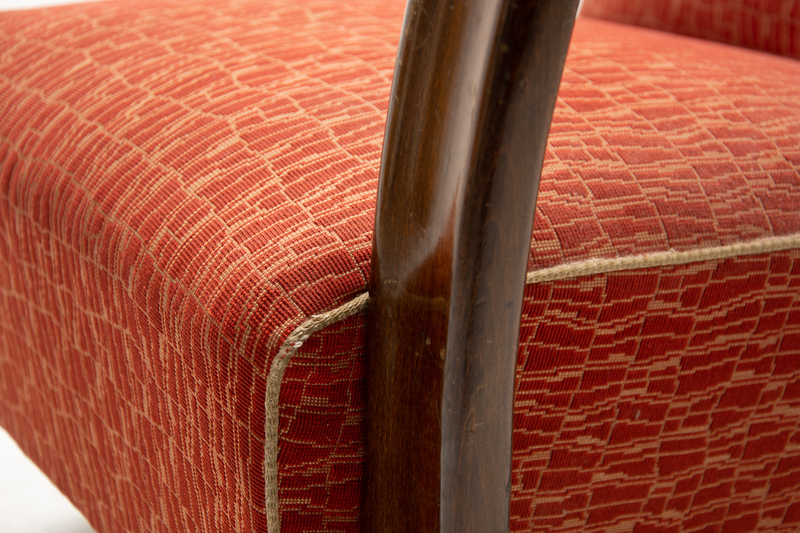 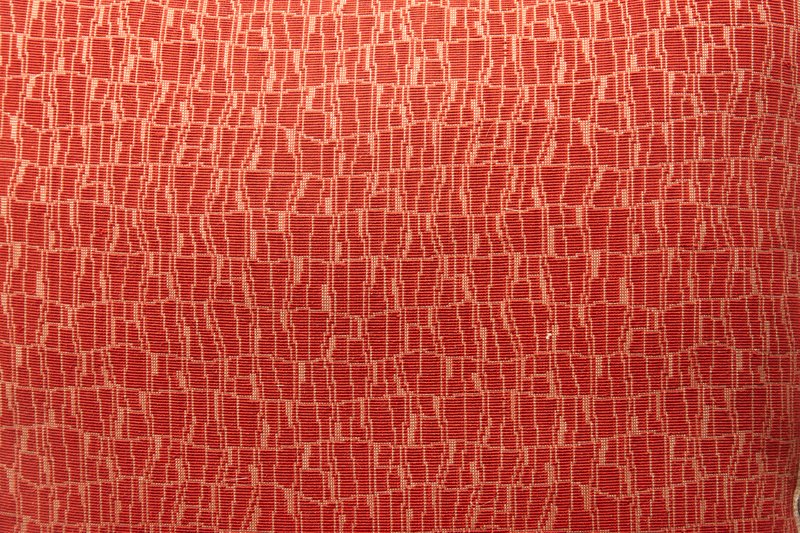 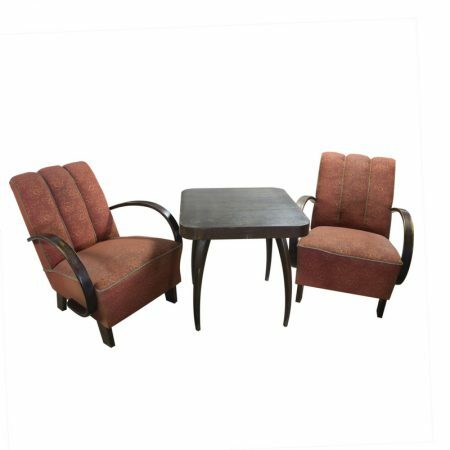 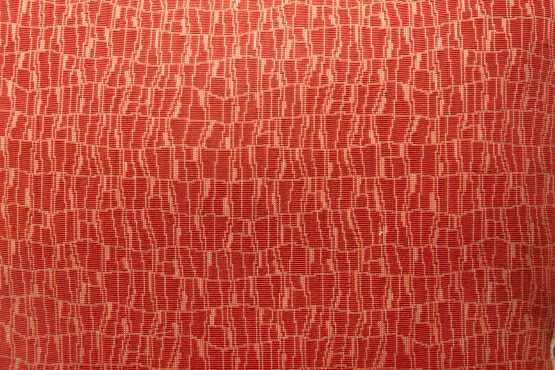 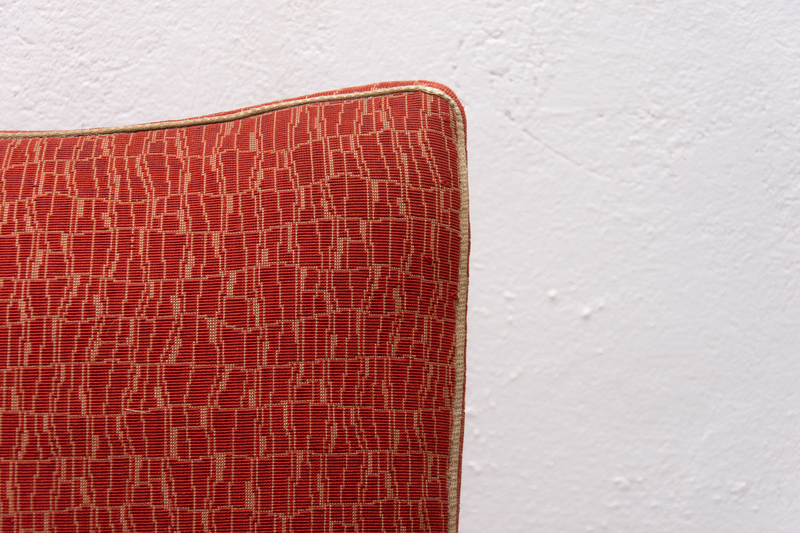 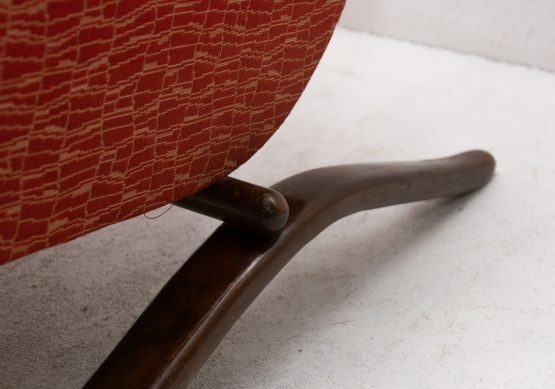 The armchairs have no damage such as cracks and the like and are more or less ready for use immediately.